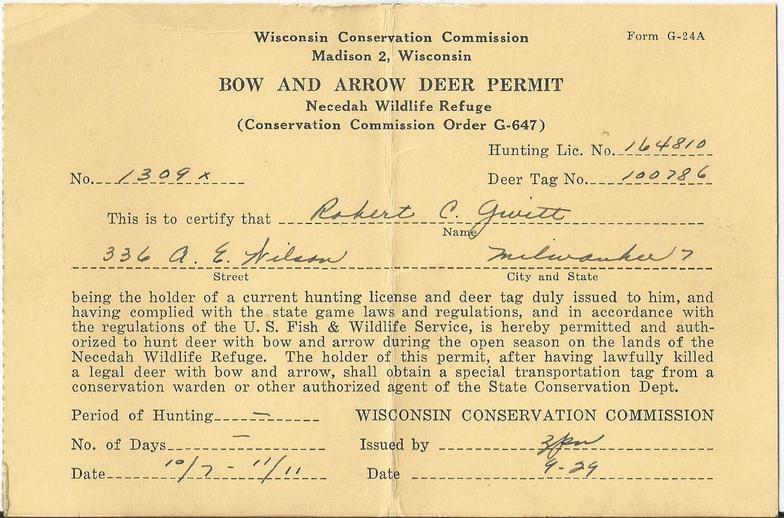 In 1934 Wisconsin established the first bow hunting season in the United States. It was only open in Columbia and Salk counties and the season lasted 5 days between Nov. 24-28. Bow Hunting quickly expanded by the 1940s to include over 50 counties and a much longer 45 day season where a hunter could harvest either a deer or a bear. Hunters during this period were only issued one tag per year for either the Bow or Gun deer seasons. If you did intend to bow hunt you had to send a letter to the WCD. 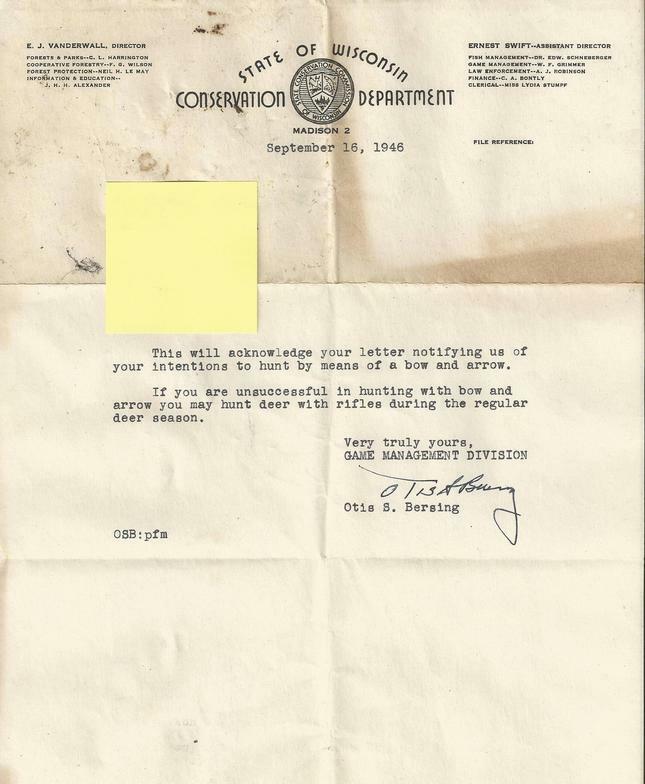 Below is an example of a letter sent back from the WCD to the hunter acknowledging they received the hunter's letter. 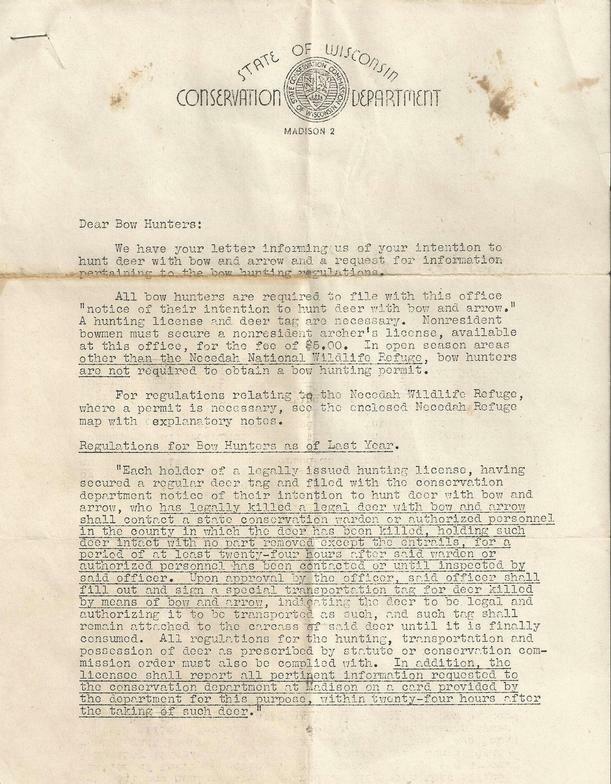 Notice the original signature by Otis S. Bersing, who would later retire after 32 years with the WCD and become very well known for having authored several books and papers relating to conservation and game management. The Necedah Refuge was often treated differently from other parts of the state open to bow hunting during this period. 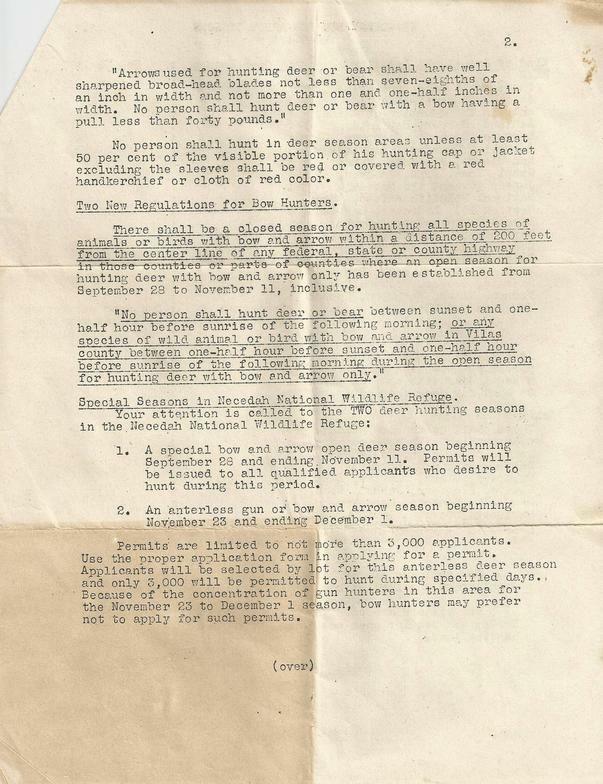 The season dates were often different and the harvesting of "antlerless" deer was allowed for a brief period in 1946. 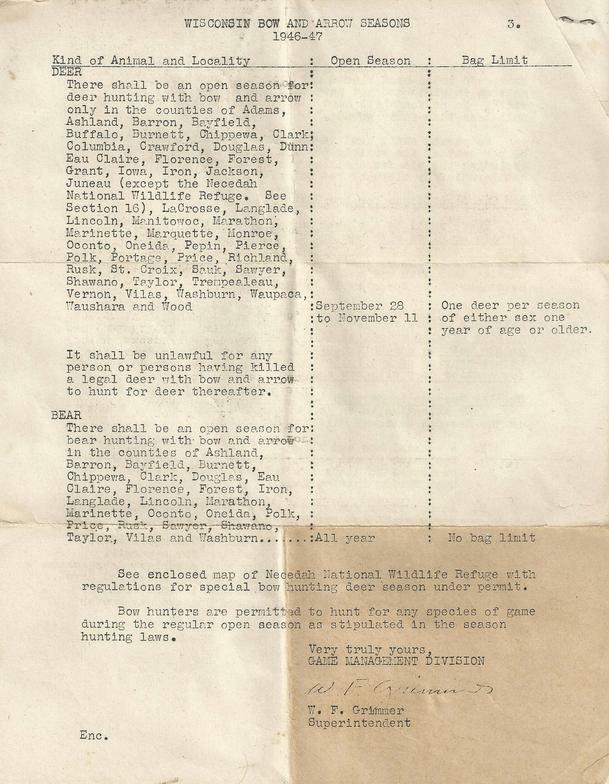 Above is an example of a "Special Permit" used to hunt in the Necedah. 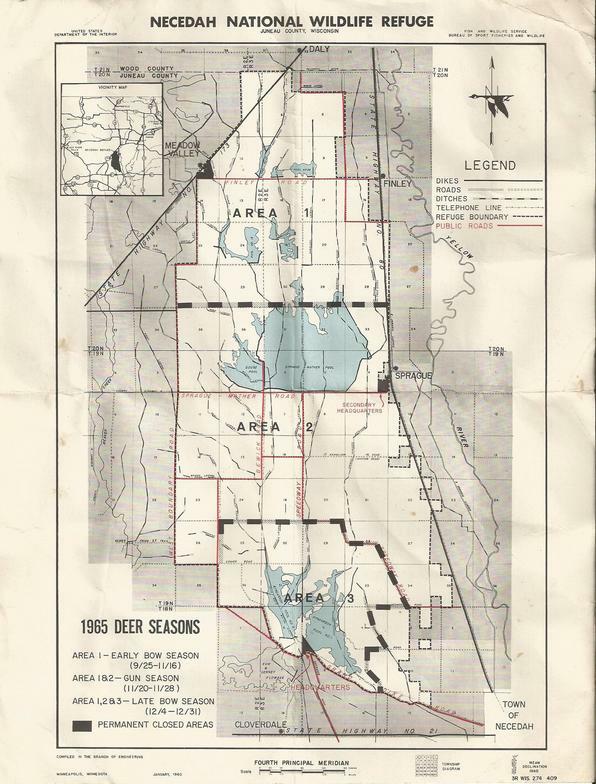 Below is a map from 1965 showing some of the different seasons between different areas within the Necedah.